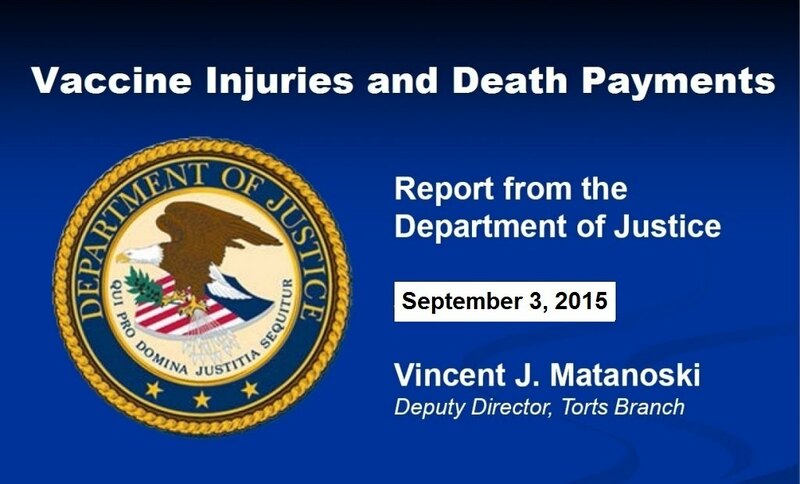 The Department of Justice issues a report on vaccine injuries and deaths every quarter to the Advisory Commission on Childhood Vaccines  (Click on “Meeting Book – PDF – 10.8 MB” for September 3rd meeting). 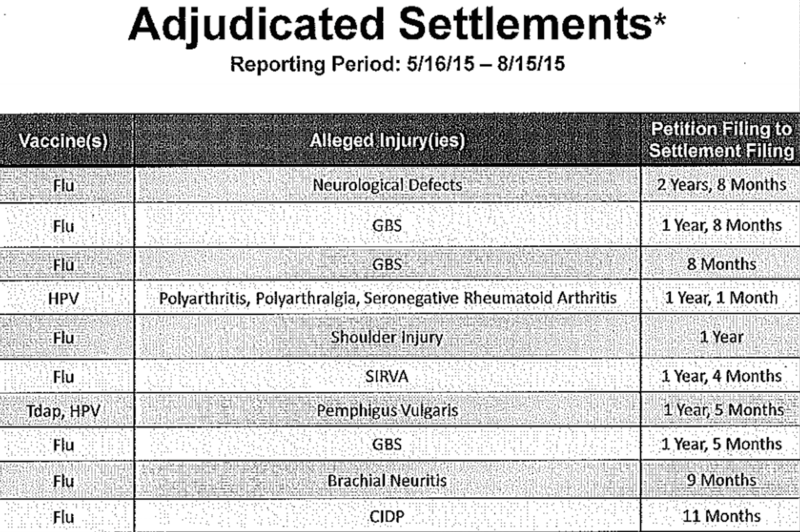 There are 211 cases for vaccine injuries and deaths for the period 5/16/2015 through 8/15/2015. 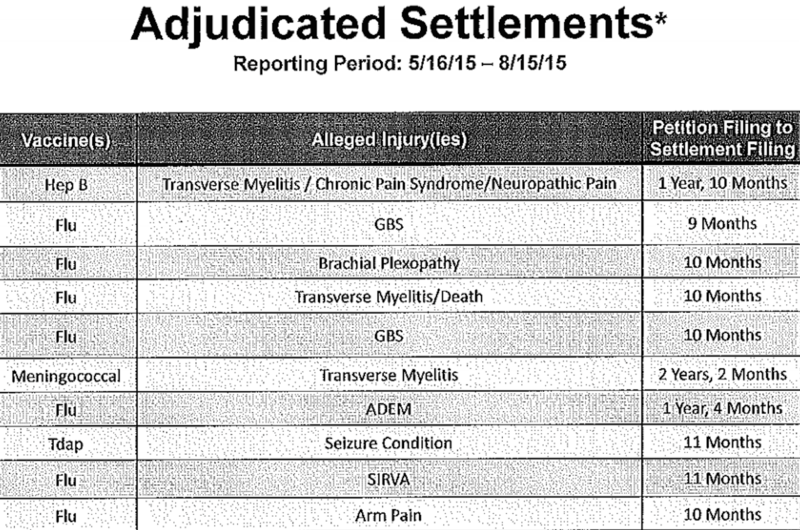 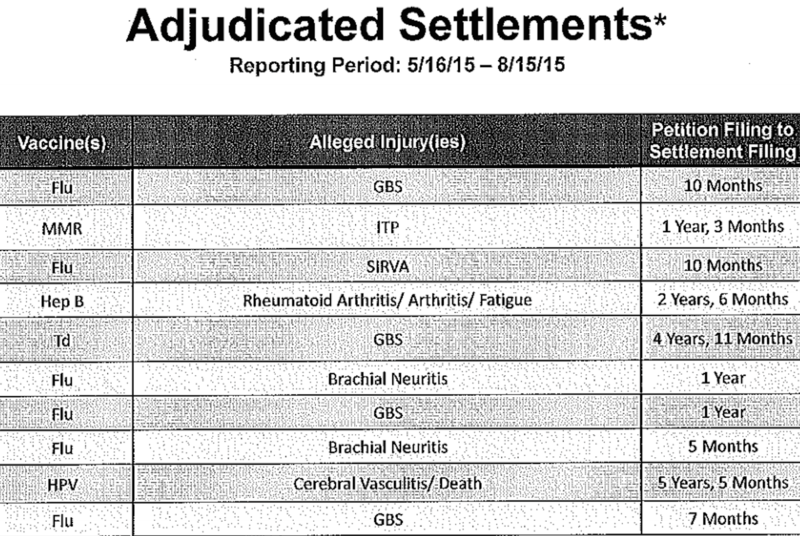 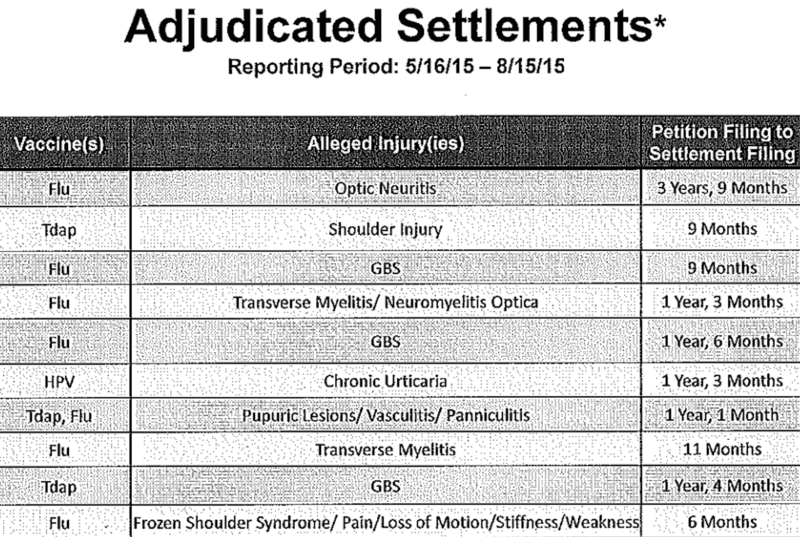 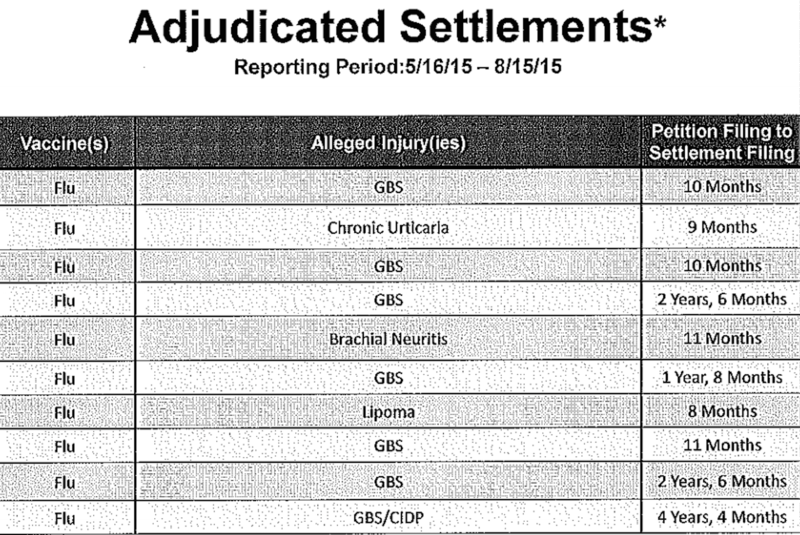 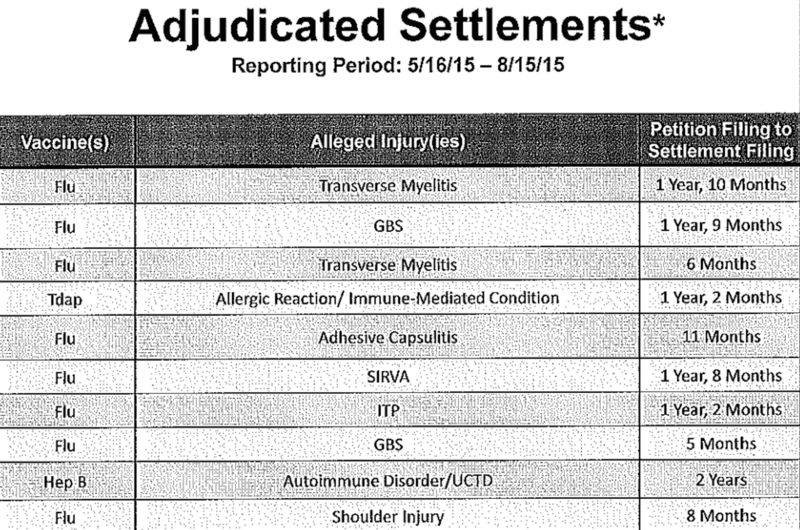 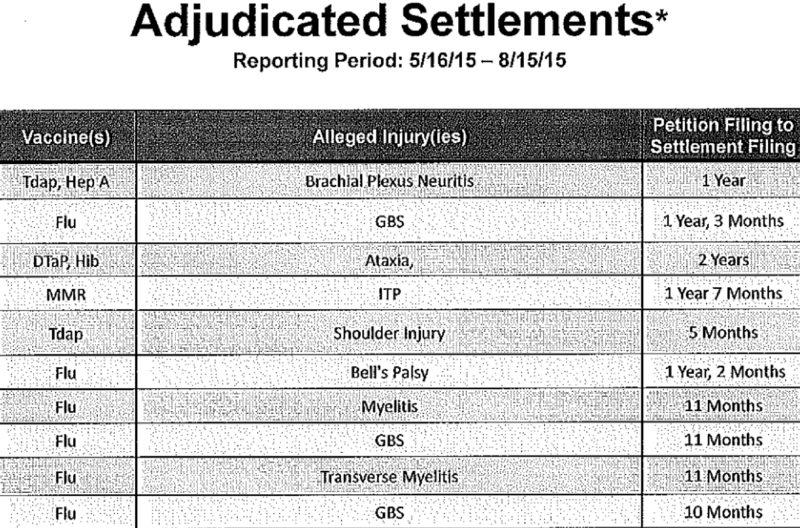 The September 3rd, 2015 report published here shows a definite increase in compensations for vaccine injuries from the last report issued on June 4th, 2015 , and previous reports  before then. 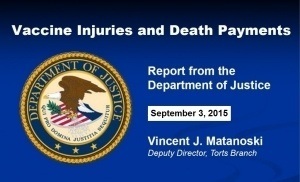 You can review previous DOJ reports for vaccine injuries and deaths compensated by the U.S. Government here . 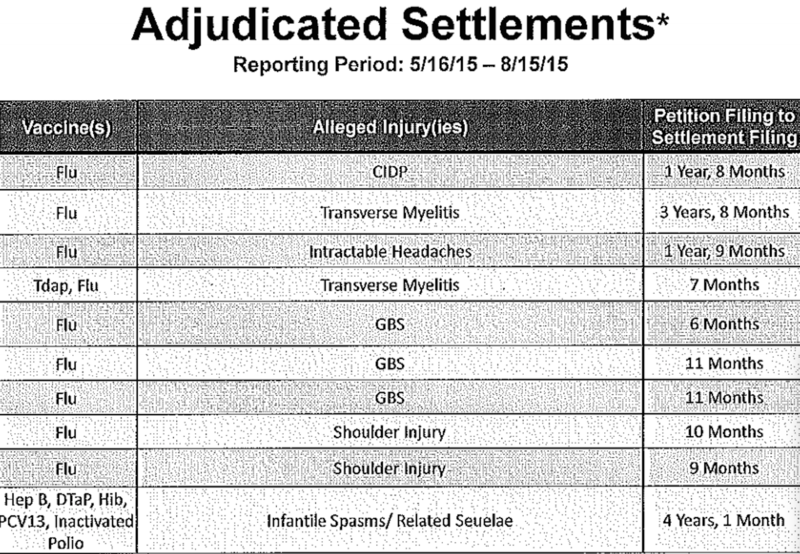 Be informed before you vaccinate, particularly the annual flu vaccine! 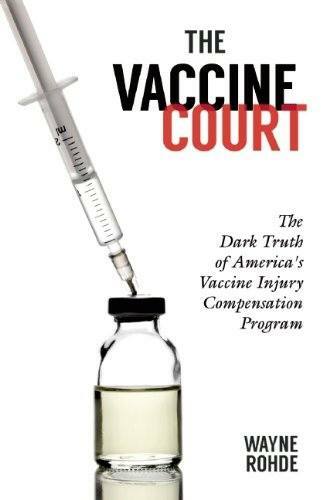 In general, medical professionals and the federal government cannot be trusted, as they present the extremist position that all vaccines are safe, and they are not a credible source due to their conflicts of interest .